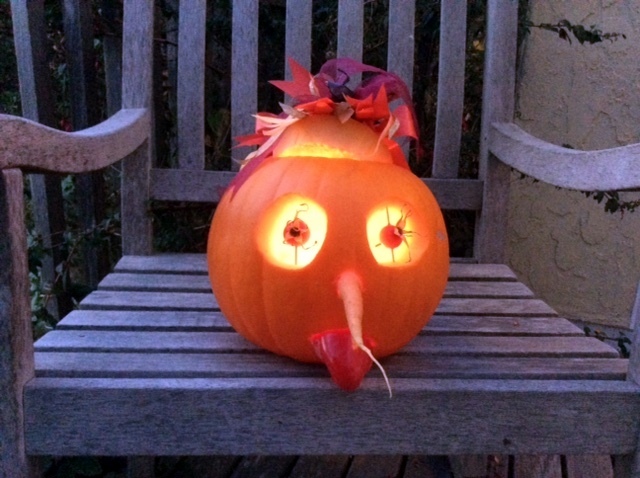 Gráinne and Min fetched a Hallowe’en Pumpkin. 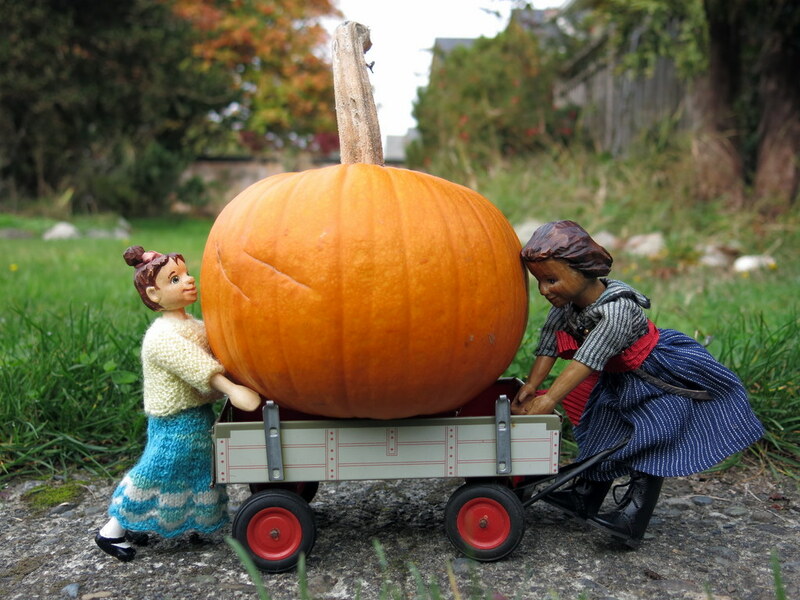 …while Gráinne enlisted some help with the carving. …and Min got silly with the innards! Oh my goodness, what a HUGE pumpkin!! You gave him the most amazing face too. Sadly, we have no Jack’o’lantern this year.as we have nowhere to put it, but we are pleased to be allowed to see yours, shining out in the dusk..
Our “Jill” lantern was fun! Those Sword-wielding carvers did a great job! 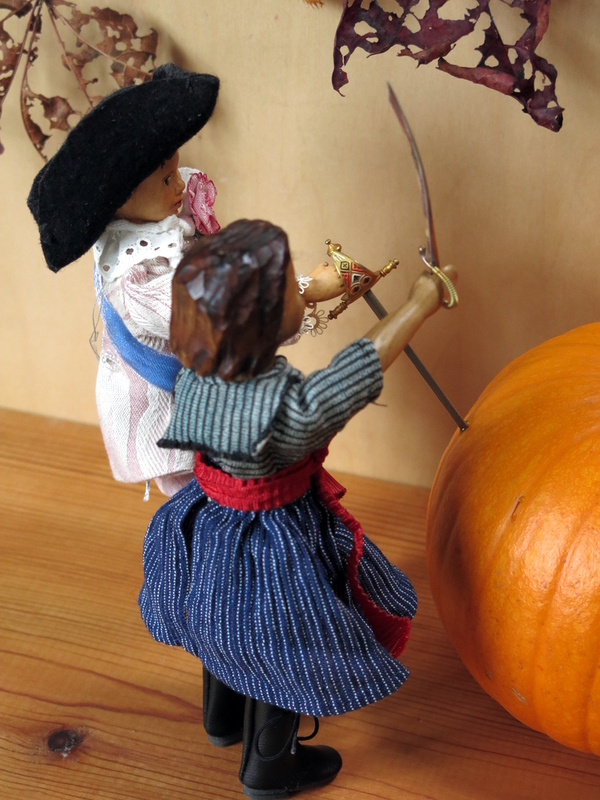 What a fun pumpkin carving…Grainne’s cutlass sure came in handy…and Min getting silly with the innards was a “new” and unexpected surprise…wonderful! The Quimper Hittys find it handy to have a couple of experts around when a spot of cutting is needed! Thanks for such a pleasant way of celebrating Halloween. Your creativity is a blessing and honor to view, each time you post. 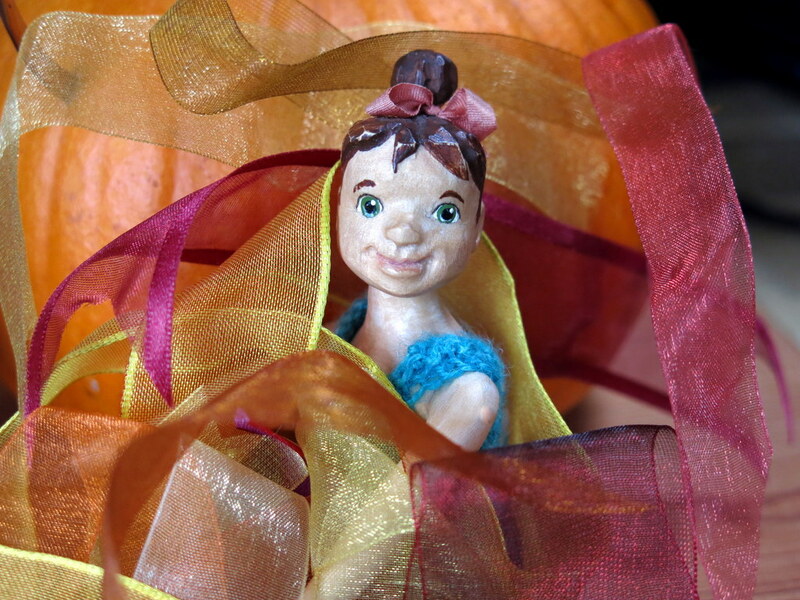 You are very welcome – thanks for joining in the fun! They really do look like teeth! Don’t they! We were very amused by the idea as you can tell! Oh that made me laugh!! Min is such a “cut up” (hee hee). Love the pics of the sword wielding swash bucklers joining in the fun! Great photos and such fun. Thanks so much – we couldn’t resist getting the swords-hittys involved, and Min is always available for silliness!